Don’t let your lunch game ruin the remainder of your productive day. This well-balanced power bowl is loaded with good, wholesome ingredients; beautiful colors and bursts of flavor – one of the keys to lots of flavor here is using dark meat chicken. If it’s not too hard to find, we highly recommend using brown rice and organic veggies in this bowl. And while this is a popular lunch dish in our households, it would also make a satisfying dinner. You’ll wake up the next morning feeling like you can take on the world. Ok, that’s extreme. But your mind and body will feel better after eating this than it would after a pepperoni pizza dipped in ranch dressing...although, we love that combo too. Everything in moderation. Preheat oven to 375 degrees. Lightly grease an 8x8-inch baking dish with safflower oil. In a large bowl, mix the chicken with the cilantro, carrot, shallot, ginger, garlic, lime zest, fish sauce, breadcrumbs, salt and pepper. If your mixture seems too loose/watery, add another tablespoon of breadcrumbs. 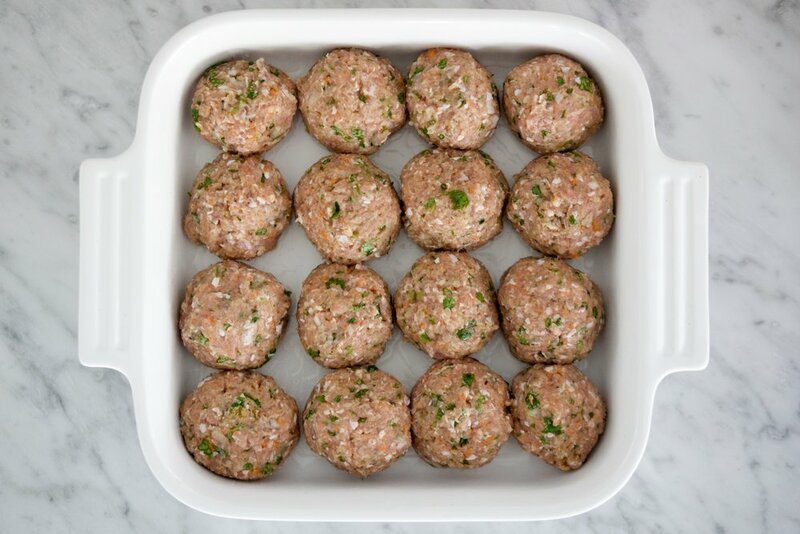 Using your hands, form the mixture into 2-inch meatballs and place them in the prepared baking dish. Cover the dish with plastic wrap and place in the fridge to chill for 30 minutes (make the dressing while these babies chill out). Bake the meatballs for 35-40 minutes, or until the meatballs are golden-brown and cooked through. Whisk together the vinegar, honey, mustard, salt and pepper. Continue whisking while you drizzle in the oils. Taste and season with more salt and pepper if needed. In a medium bowl, toss half of the dressing with the shredded cabbage, cover with plastic wrap and place in the refrigerator until ready to eat. Reserve the remaining half of dressing for garnishing your bowl. Scoop ½ cup of rice in each bowl and then divide the cabbage, bean sprouts, cucumbers, carrots and meatballs among each bowl. Drizzle a little bit of the remaining dressing on each bowl and then garnish with peanuts and cilantro. Dig in and feel the power! 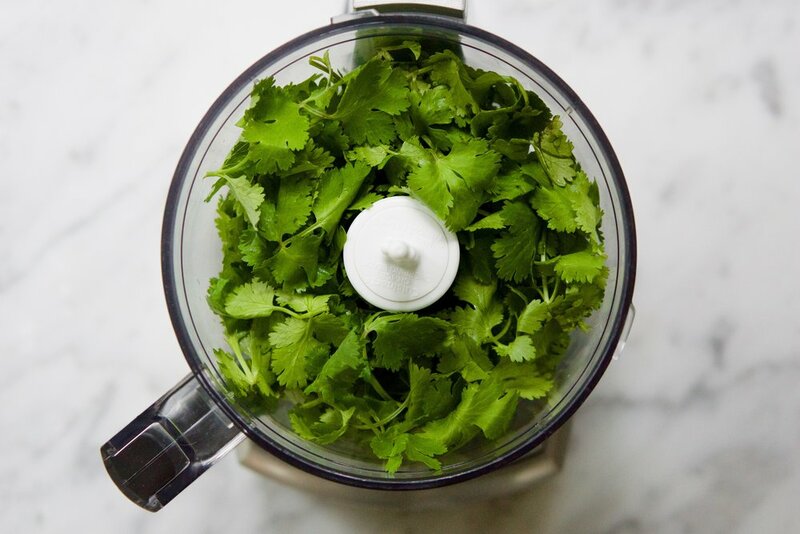 * Place ingredients in food processor and pulsate until finely chopped. A food processor makes this job 100x easier. No need to buy a huge one – You can find a reasonably priced (around $30) mini food processor on Amazon. We both LOVE ours and use it all the time.